Inflammation today encompasses more than the arthritis suffered by your grandparents. Does your stressful work and lifestyle sometimes seem to drain you? Do you get a stiff neck in the office? After hitting the gym, do you have consistent pain in your muscles and joints, and does it feel like it’s taking forever to recover? Do you constantly wake up feeling stiff and sore? Are sitting on heating pads, or looking for a good massage therapist, your normal ways to relax? These symptoms, too, indicate inflammation. More seriously, inflammation is linked to obesity, diabetes, and heart disease. The reality is, inflammation is a naturally occurring process. If you cut yourself, inflammation (pain) is triggered so extra blood can flow to (and scab over) the affected area so you don’t bleed out. It helps you heal. Damage can occur inside the body, too. A similar process of healing takes place, but sometimes it can get out of control and lead to disease. What we’ve learned in recent years is that a rich bioactive compound (BAC) diet, filled with antioxidants and polyphenols, can reduce inflammation. Functional ingredients, like moringa, turmeric, and cherries, have been used successfully in studies to prevent chronic pain by reducing free radicals or other causes linked to inflammation formation in the first place. You, too, can battle against chronic inflammation by adding these eight foods to your diet! Moringa products include teas and powders, making them versatile enough to take acai bowls to the next level, for instance. The anthocyanins found in cherries seem to have the most an anti-inflammatory effect. These compounds can also be found in berries. One way to think about anti-inflammatory foods is to ask how the food itself does not get inflammation. That is, how does food protect itself from the dangers it may face in nature. It’s no wonder people have been using green tea for so long in traditional medicine. What foods have proven useful for you in battling chronic pain? 2. Tsala, David Emery & Foyet, Harquin Simplice & Ndzana Martin Thierry, Bella & Justin, Bada & Justin, Baima & Emmanuel, Ndoumga. (2013). “Anti-Inflammatory Activity of Hot Water Extract of Moringa Oleifera Lam in Rats.” International Journal of Drug Targets. 4. 25-31. p. 30. 3. Ezeamuzie, I. C., A. W. Ambakederemo, F. O. Shode, and S. C. Ekwebelem. "Antiinflammatory Effects of Moringa Oleifera Root Extract." Pharmaceutical Biology 34, no. 3 (1996): 207-12. doi:10.1076/phbi.34.3.207.13211. p. 207. 4. Holt, Brittany, ed. Vegetable Oil: Properties, Uses, and Benefits. New York: Nova Publishers, 2016. p. 174. 5. Nair, Ss, Jj Manalil, Sk Ramavarma, Im Suseela, A. Thekkepatt, and Ac Raghavamenon. "Virgin Coconut Oil Supplementation Ameliorates Cyclophosphamide-induced Systemic Toxicity in Mice." Human & Experimental Toxicology 35, no. 2 (2015): 205-12. doi:10.1177/0960327115578867. p. 205. 6. Intahphuak, S., P. Khonsung, and A. Panthong. "Anti-inflammatory, Analgesic, and Antipyretic Activities of Virgin Coconut Oil." Pharmaceutical Biology 48, no. 2 (2009): 151-57. doi:10.3109/13880200903062614. p. 156. 7. Seymour, E.m., Sarah K. Lewis, Daniel E. Urcuyo-Llanes, Ignasia I. Tanone, Ara Kirakosyan, Peter B. Kaufman, and Steven F. Bolling. "Regular Tart Cherry Intake Alters Abdominal Adiposity, Adipose Gene Transcription, and Inflammation in Obesity-Prone Rats Fed a High Fat Diet." Journal of Medicinal Food 12, no. 5 (2009): 935-42. doi:10.1089/jmf.2008.0270. p. 941. 8. Ferretti, Gianna, Tiziana Bacchetti, Alberto Belleggia, and Davide Neri. "Cherry Antioxidants: From Farm to Table." Molecules 15, no. 10 (2010): 6993-7005. doi:10.3390/molecules15106993. p. 7001. 9. Kelley, Darshan S., Yuriko Adkins, Aurosis Reddy, Leslie R. Woodhouse, Bruce E. Mackey, and Kent L. Erickson. "Sweet Bing Cherries Lower Circulating Concentrations of Markers for Chronic Inflammatory Diseases in Healthy Humans." The Journal of Nutrition 143, no. 3 (2013): 340-44. doi:10.3945/jn.112.171371. p. 343. 10. Huang, Wu-Yang, Ya-Mei Liu, Jian Wang, Xing-Na Wang, and Chun-Yang Li. "Anti-Inflammatory Effect of the Blueberry Anthocyanins Malvidin-3-Glucoside and Malvidin-3-Galactoside in Endothelial Cells." Molecules 19, no. 8 (2014): 12827-2841. doi:10.3390/molecules190812827. p. 12838. 11. Burton-Freeman, Britt M., Amandeep K. Sandhu, and Indika Edirisinghe. "Red Raspberries and Their Bioactive Polyphenols: Cardiometabolic and Neuronal Health Links." Advances in Nutrition 7, no. 1 (2016): 44-65. doi:10.3945/an.115.009639. p. 61. 12. Skrovankova, Sona, Daniela Sumczynski, Jiri Mlcek, Tunde Jurikova, and Jiri Sochor. "Bioactive Compounds and Antioxidant Activity in Different Types of Berries." International Journal of Molecular Sciences 16, no. 10 (2015): 24673-4706. doi:10.3390/ijms161024673. p. 24690. 13. Chandran, Binu, and Ajay Goel. 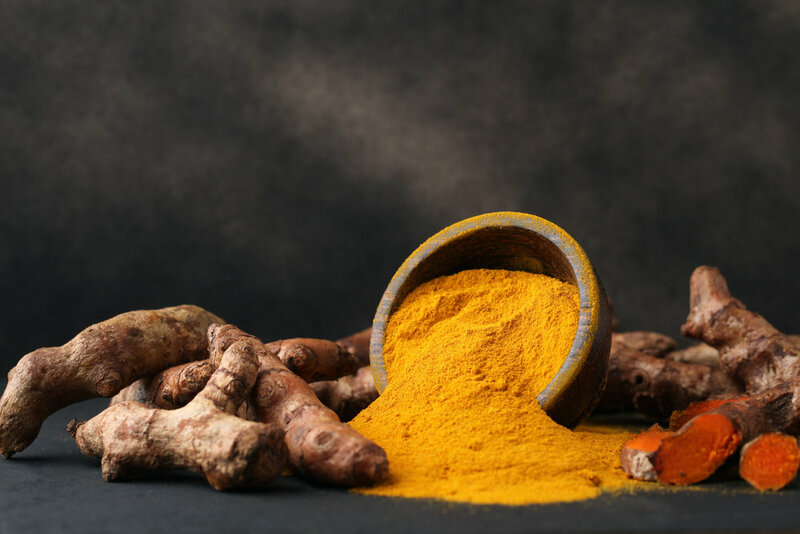 "A Randomized, Pilot Study to Assess the Efficacy and Safety of Curcumin in Patients with Active Rheumatoid Arthritis." Phytotherapy Research 26, no. 11 (2012): 1719-725. doi:10.1002/ptr.4639. p. 1719. 14. Hewlings, Susan, and Douglas Kalman. "Curcumin: A Review of Its’ Effects on Human Health." Foods 6, no. 10 (2017): 92-103. doi:10.3390/foods6100092. p. 99. 15. Chainani-Wu, Nita. "Safety and Anti-Inflammatory Activity of Curcumin: A Component of Tumeric (Curcuma Longa)." The Journal of Alternative and Complementary Medicine 9, no. 1 (2003): 161-68. doi:10.1089/107555303321223035. p. 161. 16. Zimmer, Aline Rigon, Bianca Leonardi, Diogo Miron, Elfrides Schapoval, Jarbas Rodrigues De Oliveira, and Grace Gosmann. "Antioxidant and Anti-inflammatory Properties of Capsicum Baccatum: From Traditional Use to Scientific Approach." Journal of Ethnopharmacology 139, no. 1 (2012): 228-33. doi:10.1016/j.jep.2011.11.005. p. 233. 17. Chen, Chunye. "Sinapic Acid and Its Derivatives as Medicine in Oxidative Stress-Induced Diseases and Aging." Oxidative Medicine and Cellular Longevity 2016 (2016): 1-10. doi:10.1155/2016/3571614. p. 6. 18. Hernández-Ortega, Marcela, Alicia Ortiz-Moreno, María Dolores Hernández-Navarro, Germán Chamorro-Cevallos, Lidia Dorantes-Alvarez, and Hugo Necoechea-Mondragón. "Antioxidant, Antinociceptive, and Anti-Inflammatory Effects of Carotenoids Extracted from Dried Pepper (Capsicum AnnuumL.)." Journal of Biomedicine and Biotechnology 2012 (2012): 1-10. doi:10.1155/2012/524019. p. 1. 19. Lippi, Giuseppe, Massimo Franchini, Martina Montagnana, Emmanuel J. Favaloro, Gian Cesare Guidi, and Giovanni Targher. 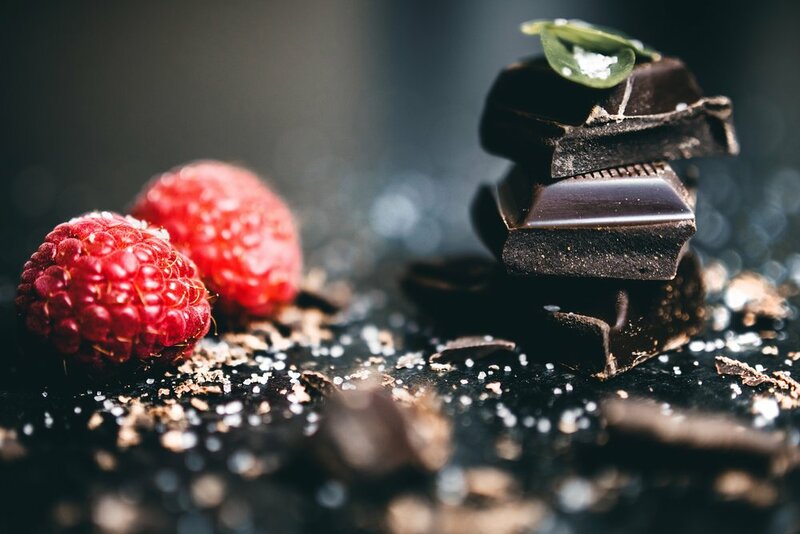 "Dark Chocolate: Consumption for Pleasure or Therapy?" Journal of Thrombosis and Thrombolysis 28, no. 4 (2008): 482-88. doi:10.1007/s11239-008-0273-3. pp. 485-486. 20. Goya, Luis, María Martín, Beatriz Sarriá, Sonia Ramos, Raquel Mateos, and Laura Bravo. "Effect of Cocoa and Its Flavonoids on Biomarkers of Inflammation: Studies of Cell Culture, Animals and Humans." Nutrients 8, no. 4 (2016): 212-35. doi:10.3390/nu8040212. p. 229. 21. Becker, Kathrin, Simon Geisler, Florian Ueberall, Dietmar Fuchs, and Johanna M. Gostner. "Immunomodulatory Properties of Cacao Extracts – Potential Consequences for Medical Applications." Frontiers in Pharmacology 4 (2013): 1-9. doi:10.3389/fphar.2013.00154. p. 1. 22. Dona, M., I. Dellaica, F. Calabrese, R. Benelli, M. Morini, A. Albini, and S. Garbisa. "Neutrophil Restraint by Green Tea: Inhibition of Inflammation, Associated Angiogenesis, and Pulmonary Fibrosis." The Journal of Immunology 170, no. 8 (2003): 4335-341. doi:10.4049/jimmunol.170.8.4335. p. 4335. 23. Chan, Marion Man-Ying, Dunne Fong, Chi-Tang Ho, and Hsing-I Huang. "Inhibition of Inducible Nitric Oxide Synthase Gene Expression and Enzyme Activity by Epigallocatechin Gallate, a Natural Product from Green Tea." Biochemical Pharmacology 54, no. 12 (1997): 1281-286. doi:10.1016/s0006-2952(97)00504-2. p. 1281. 24. Reygaert, Wanda. "An Update on the Health Benefits of Green Tea." Beverages 3, no. 4 (2017): 6-20. doi:10.3390/beverages3010006. p. 6.